The Englishman finally broke his shackles, pummeling Mumbai Indians at the Wankhede Stadium on Saturday. 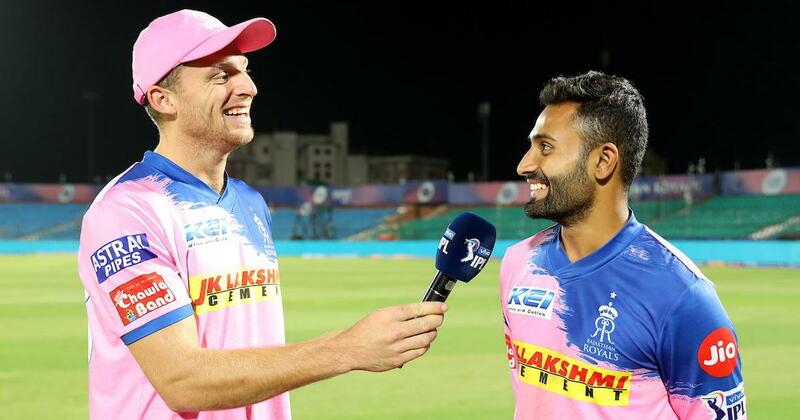 There can be no arguments that Jos Buttler is Rajasthan Royals’ most important player. It was little surprise that his 89 against former employers Mumbai Indians fetched him in the man of the match award. 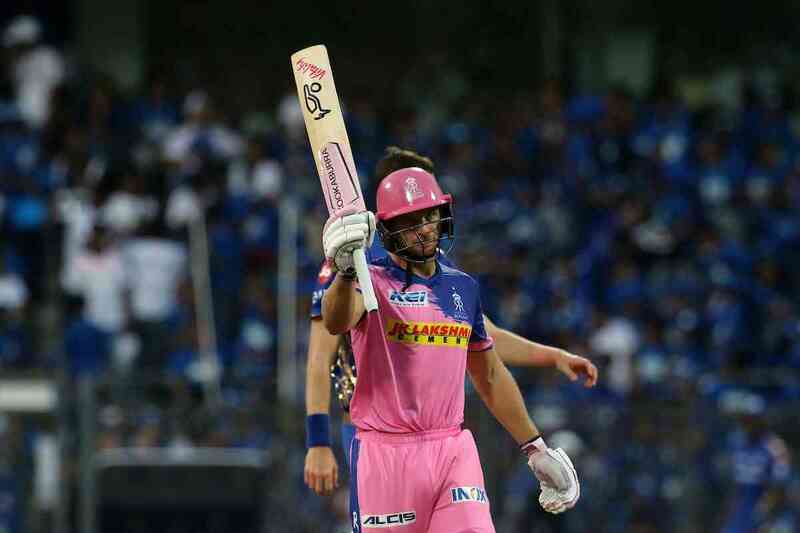 On the balance of play, however, Shreyas Gopal made the most decisive contribution to Rajasthan Royals’ four-wicket win over Mumbai Indians at the Wankhede Stadium on Saturday during a run chase they nearly made a mess of at the back end of the game. When Rohit Sharma and Quinton de Kock flew off the blocks, Gopal’s tidy overs put the brakes on the scoring rate. It allowed Rajasthan to get a foothold in the contest and contain them when a 200+ score looked certain. The Karnataka leg-spinner finished his quota of four overs conceding just 21 runs. Despite not picking up a wicket, he ended up as the most economic bowler of the match. His confident bowling performances have reflected in his batting. It was Gopal’s telling blow that took his team home against MI. 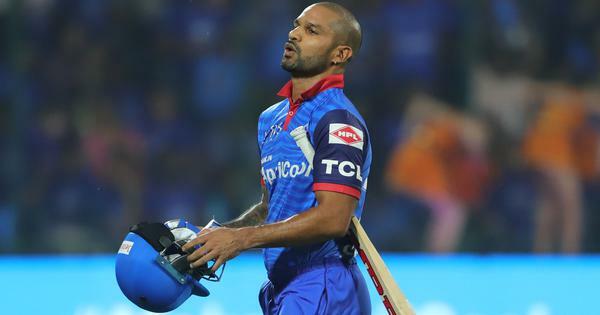 His handy runs in the final overs were nearly enough even in the drama-filled thriller against Chennai Super Kings, but a horrendous 20th over from Ben Stokes saw Rajasthan slump to their fifth defeat. Quietly, Gopal’s consistent displays have made him indispensable. He has managed to stand tall despite Rajasthan’s bowlers – barring Jofra Archer, of course – failing to find any rhythm going so far. Gopal, perhaps with the stakes much lower compared to Buttler, was playing with a little more freedom. Not for the first time this season, the 25-year-old showed courage and intelligence when things weren’t going in his team’s favour. Buttler, returning to his free-scoring ways, was too cautious for his own good in the early part of the tournament. And the fault was not his. Skipper Ajinkya Rahane has struggled for runs in a format that doesn’t suit him. Sanju Samson has been injured and when he has played, struggled for consistency despite scoring the first century of the season. The same can be said about the returning Steve Smith and Ben Stokes, neither of whom have looked like players Rajasthan can turn to for registering match-winning totals. This, of course, was a far cry to Buttler’s heroics last season. From being down in the dumps, Rajasthan won five of their last six group games to clinch a play-off spot. It was nearly a one-man show at times and he subsequently made his way back to the Test squad following five fifties and 353 runs at 54.80. The inaugural champions missed him following his departure. An encore is expected should Rajasthan, somehow, reach the knockout stages once again. Having a stable batting lineup helps. Look at the way David Warner has flourished with Jonny Bairstow helping him out at the top of the order. None of the Royals have rallied around Buttler but the Englishman found his joie de vivre at the first sign of it against MI. Rahane played a...well, very un-Rahane knock. When was the last time he set the pace in a run-chase? Buttler was happy to play second fiddle there. After Rahane’s departure, the 28-year-old broke his shackles and Samson was merely a spectator for much of it. Rahul Chahar and Alzarri Joseph were picked apart with ease. Buttler, though, cannot sleep easy in the knowledge that his side almost surrendered what looked like a certain win following his whirlwind 43-ball 89. With several players under-performing despite there being no paucity of stardust in their ranks, Rajasthan Royals need to go on a dream run to even stand a chance of getting past the group stages. Buttler will be leaving soon and that leaves them with just two bankable performers in Gopal and Archer. Runs will be hard to come by and with Stokes – who has again been under-par – also leaving for national team duties, there will be another gaping hole in the middle-order. Australian Ashton Turner has not been tested and another Englishman, Liam Livingstone, had a forgettable IPL debut. Only time will tell whether they can stitch the brittle middle-order together. No team has won the tournament with two-three players shouldering a bulk of the workload. One look at the victorious sides of CSK, KKR and Mumbai Indians in recent years illustrates that point. It is probably why Kolkata have been scratchy despite Andre Russell putting on one of the greatest shows over the past twelve years. But that’s a headache Rajasthan have to deal with in a few weeks time. For now, the sixes are flying off Buttler’s blade and his team will always be in with a shout when that happens. And all the while, Gopal goes about his job consistently in all three departments. With Buttler under the spotlight and shining bright, Gopal has been solid yet unspectacular behind the scenes. And in these two, an erratic Royals side have found their two best performers.